Maxs Absolute Mass was created for those who are after some serious gains. We’re not talking about a couple of kilos over a period of a few months, we’re talking about a bulk that makes people turn their head around and notice you. Absolute Mass is all about results and giving you all the ingredients and nutrients you need to get big QUICK. 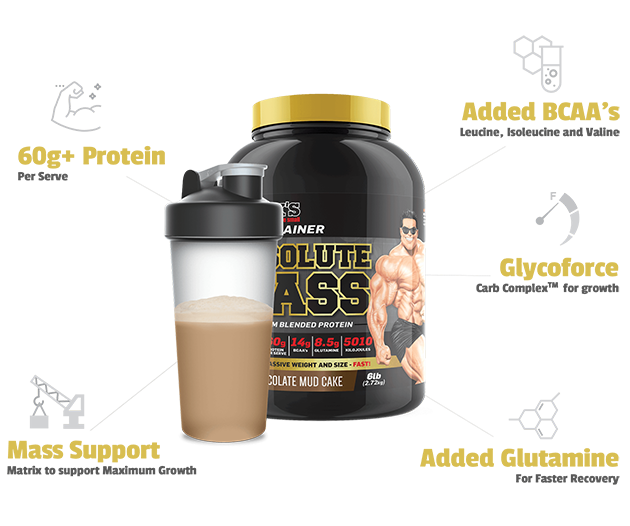 The key is the inclusion of a fast and sustained release protein and carb blend. This helps to quickly kick start the machinery of muscle building, but will also help to sustain that high degree of growth over a longer period of time. Each scoop also provides a Mass Support Matrix of glutamine, BCAAs and creatine to help you recover faster and train harder; two crucial aspects of any successful bulk. Finally, Absolute Mass had added medium chain triglycerides (MCTs) and conjugated linoleic acids (CLAs). A mouthful to say, but super effective in offering quick energy and to ensure that the weight you gain is geared towards muscle, rather than fat. Max’s Absolute Mass is about quality, massive, intimidating size, without the extra padding that often comes with other weight gain protein powders. I have used this for roughly a year now and out on 15kgs, doesn’t leave you bloated. I use it to start off my day, with breakfast, and before training! Amazing flavour, if you don't mix it well it give you bits of mud cake tasting lumps witch taste so good. Also does not leave you with a heavy sick feeling gut. Great product. I have been using this for a while now and really love it. The chos mudcake taste great! Doesn't leave you feeling bloated. Pretty good high calorie mass gainer which I have used now for the last month. 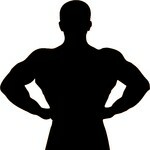 In that time I have put on 3 kilos which before taking Absolute Mass was not able to do. It's 1180 Calories per serving. I'm a professional athlete is this legal to take or has asada and wada banned it? I just had a browse at the panel and there doesn't seem to have any ingredients that are banned. Max's Anabolic Protein Blend: Micro & Ultra Filtered Cross Flow Whey Protein Isolate, Micro Filtered Whey Protein Concentrate, Hydrolysed Whey Peptides, Calcium Caseinate Milk Protein Isolate. GlycoForce Carb Complex: Waxy Maize Starch, Maltodextrin, Rice Starch, Potato Starch, Fruit Sugar Extract, Cane Sugar. Mass Building Support Complex: BCAAs (L-Leucine, L-Isoleucine, L-Valine), Arginine AKG, Creatine Monohydrate, L-Glutamine, Medium Chain Triglycerides, Conjugated Linoleic Acid. Other Ingredients: Cocoa, Flavours, Vegetable Gum (412), Soy Lecithin.